Folk music duo Piirainen + Blom is touring in Germany March 2019. 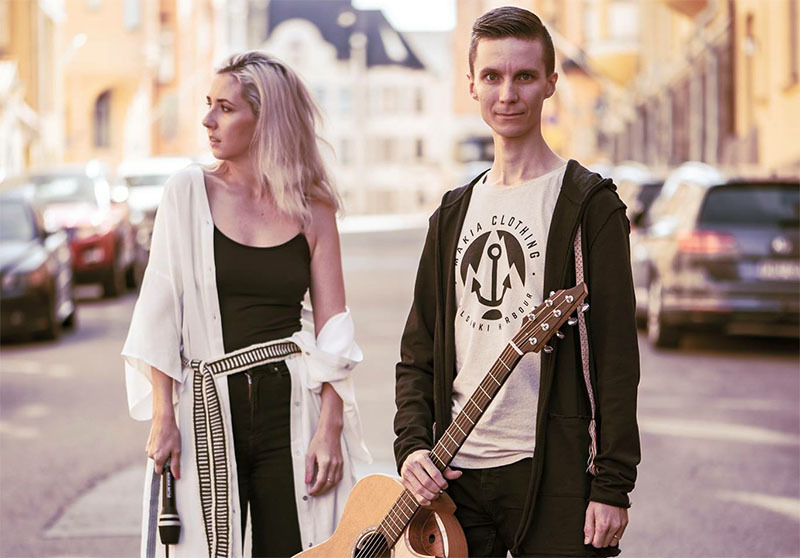 Duo brings Finnish folk dances to 2020-era combining fingerstyle guitar, beatbox and singing in a way that is never heard before! Highly acclaimed solo guitarist J-P Piirainen founded this duo with beatboxer and singer Venla Ilona Blom (Tuuletar) in 2018. Their musical roots are deep in Nordic folk music even though using highly modern instruments and sounds. Piirainen + Blom is on a mission to create bridge between tradition and modern world. J-P Piirainen has become one of the most interesting and renewing solo performers in Finnish folk music. He's a talented solo guitarist and folk musician from Joensuu, Finland. His two passions, guitar music and Scandinavian folk music, has led him to explore different styles of playing guitar. These styles are combined with Nordic folk music, creating a totally new, groovy and interesting style of guitar music. Playing both his own compositions and traditional Nordic tunes, he brings a new twist to not only Nordic folk music, but also the world of guitar music. Born in Joensuu, North-Karelia Finland, he was introduced to music at a very early age. After numerous experiments with instruments he found acoustic guitar and started classical guitar studies in Joensuu conservatory. At the same time he was introduced to Finnish folk music via a folk dance group he joined. Eventually he was consumed by folk music and he began his folk music studies in 2006. He also found the world of acoustic guitar music around that time via music of Tommy Emmanuel, Chet Atkins, Petteri Sariola, Don Ross and many other acoustic guitar players. Folk music and guitar music became his passion and obsession. In 2009 he got in to Sibelius-Academy, Finland's only music university, to study folk music and has developed his unique playing style ever since. His playing style combines different kinds of fingerstyle techniques like flamenco, Celtic fingerstyle and American fingerpicking. These combined with the Nordic folk music tradition creates a whole new genre to folk and guitar music. His debut album "First Steps" was released in 2014 and since then he has toured in Finland and abroad frequently. One of his tunes was published in Acoustic magazine (UK). Nordic Guitar Music has been a Showcase artist in Kaustinen folk music festival 2015 and Tallinn Music Week 2017. 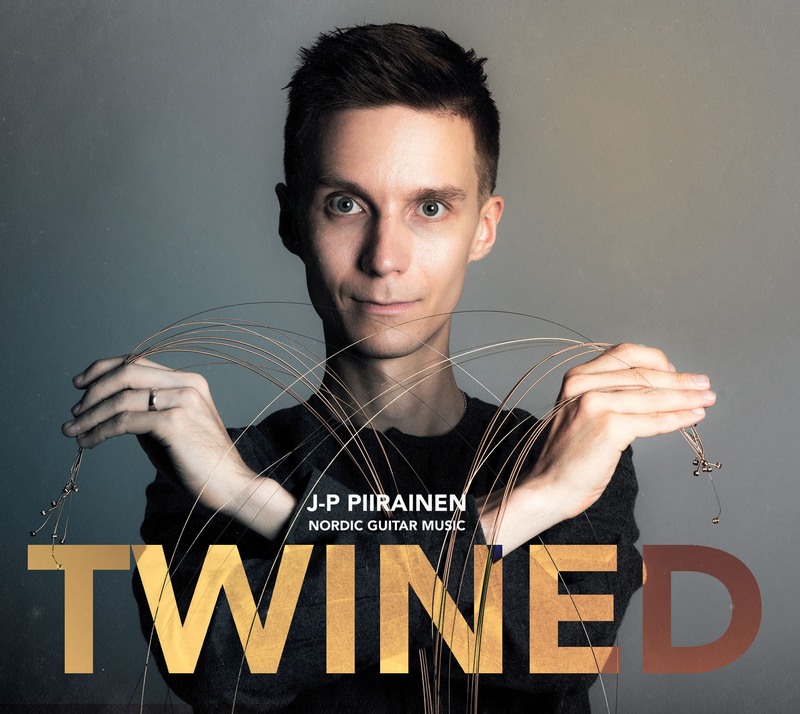 "Twined"-album has been released 11.10.2017 in Finland. Album will be released in Germany, Austria, Switzerland, Benelux and Portugal in November 2017 and in UK and Ireland in December 2017 by Nordic Notes. "This record is a combination of many things with a new touch. Fans of fingerstyle guitar, folk music, ethno music, even maybe jazz or rock should listen to this CD. It makes no right to this album to put it into one musical genre."